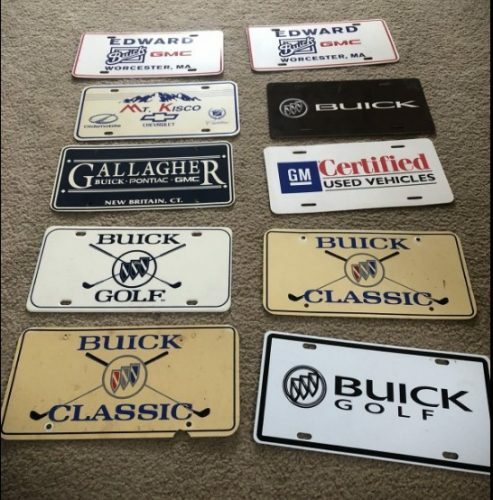 Buick car dealerships would normally affix to the front end of a new Turbo Regal their branded license plate. 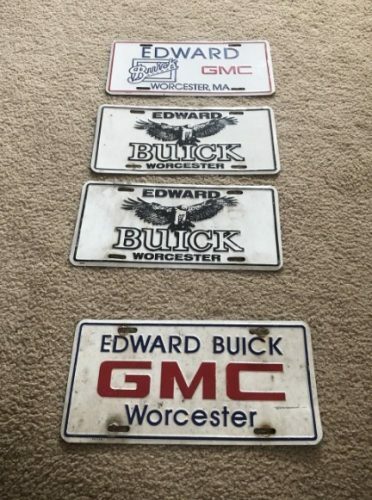 That was back when vehicles had a spot to put them on. 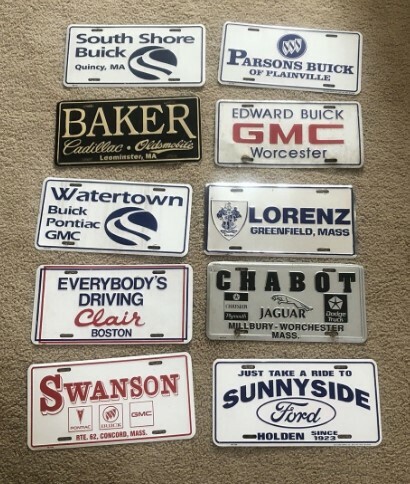 Most modern cars either don’t have a molded place for them (they’re add-on brackets, if any), or the lived-in states require an issued license plate, negating the spot for the dealer plate. 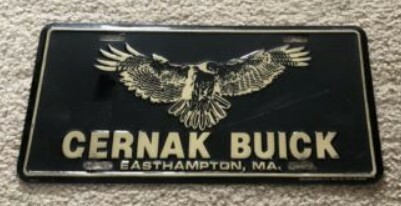 If your state doesn’t mandate one, it’s always neat to have a Buick dealership plate on your Turbo Buick, especially if it happens to be from the Buick dealer where your car was initially purchased from!